Participants in the 2007 Pauling Conference. Dr. Lubchenco stands in the back row, second from left. Dr. Washington is seated on the far left. President-elect Obama’s recent nomination of Oregon State University’s Dr. Jane Lubchenco as head of the National Oceanic and Atmospheric Administration has been big news in this community of late. Another issue on which Dr. Lubchenco has spoken out forcefully is that of global warming. This got us to thinking a bit about a short statement that Linus Pauling issued in 1991 which, perhaps somewhat surprisingly, touched on that very issue. 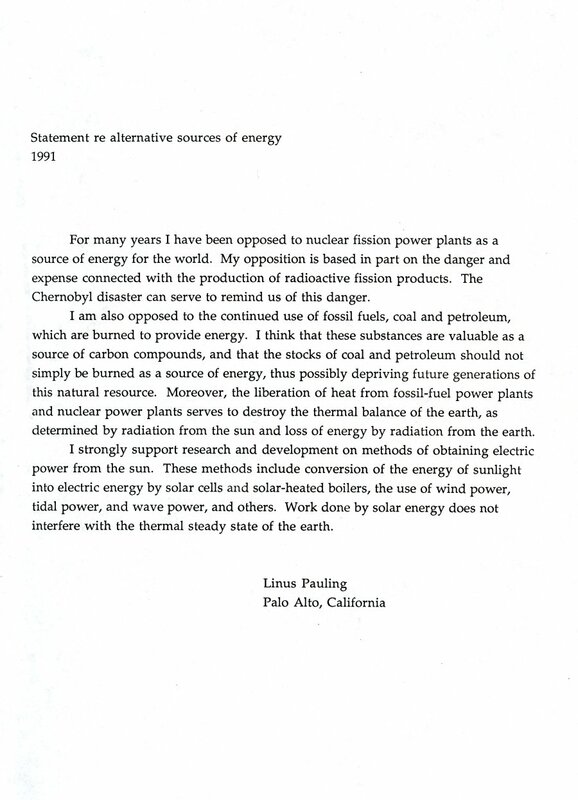 In response to an invitation to attend the Fifth World Congress on Alternatives and the Environment, to be held in Prague, Vienna and Bratislava in June 1991, the ninety-year old Pauling issued his regrets at not being able to attend, but did send along a “Statement on Alternative Energy” to be read as part of the conference proceedings. I am also opposed to the continued use of fossil fuels, coal and petroleum, which are burned to provide energy…. [in part because] the liberation of heat from fossil-fuel power plants…serves to destroy the thermal balance of the earth, as determined by radiation from the sun and loss of energy by radiation from the earth. 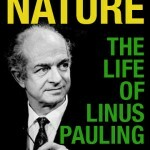 Clearly, long before it had hit the mainstream, global warming was an issue of concern to Linus Pauling. For those who are interested in learning more about the topic of global warming, we highly recommend this presentation by OSU alum Dr. Warren Washington, the head of the Climate Change Research Section in the Climate and Global Dynamics Division at the National Center for Atmospheric Research. Likewise, both Dr. Washington and Dr. Lubchenco (along with Pauling biographer Thomas Hager and historian Lawrence Badash of UC-Santa Barbara) participated in this panel discussion, which closed the 2007 conference.